Netflix is finally serious about anime. 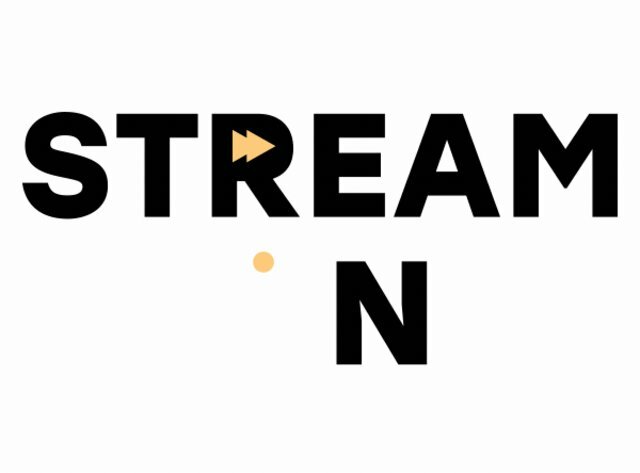 The streaming service's licensing strategy had been unreliable in the past few years, with massively popular titles like Attack on Titan and One-Punch Man being available for everyone, yet many other interesting series being added and removed at the drop of a hat. Thankfully we’re now experiencing exciting changes, and now feels like the right time to point out some excellent anime you can go watch on the Netflix right now. Don't miss Thrillist’s guides to the best anime of the year so far and the best action anime right now. And don’t sleep on last year’s best anime series either. There's no better starting point than the title spearheading Netflix’s campaign for high-quality anime productions flying under the "Original" banner. Netflix entrusted visionary director Masaaki Yuasa to reinvent the classic Devilman series, which follows the sensitive Akira Fudo as he’s pushed into fusing with a demon by his friend Ryo Asuka, in a desperate attempt to save humanity from impending doom. All the events from the source material are tweaked, fully transforming the narrative and grounding it in modern times, and yet the consequences and message stay the same. A masterclass in adaptation that marries a timeless work with the surreal imagery of one of anime’s most brilliant directors, and that exploits Netflix’s platform with more explicit sexual and violent material that would be allowed on TV. This show isn’t for the weak of heart, but in spite of everything, it’s still all about love. 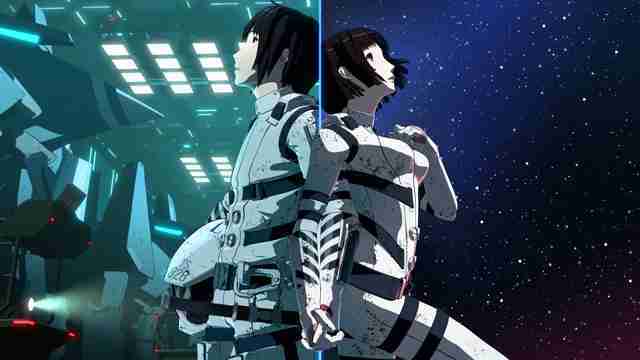 Space opera aficionados have no excuse to skip Knights of Sidonia, especially if they enjoy their sci-fi fairly action-packed. Young Nagate Tanikaze being made to pilot a robot to fight for humanity’s survival, pushed to the brink by an alien species called Gauna and drifting through space in the Sidonia colony, might sound like a very standard premise. But the bleakness that Tsutomu Nihei, author of the original manga, is known for gives Knights a special flair, as do the myriad of societal and technological curiosities introduced to give unique texture to the setting. There were preemptive worries about his striking architecture perhaps not translating well to this CGI production by studio Polygon, but in the end, the surroundings are as awe-inspiring as they’re meant to be. While the 3-D character acting leaves a bit to be the desired, the gorgeous lighting and ambitious action set pieces justify the path this adaptation took. Watching its first two seasons while waiting for the third and perhaps final one to land seems like a very good use of your time. Young witch Akko is a new student at Luna Nova Magical Academy, a prestigious school that doesn’t quite fit her reckless, tomboyish ways. 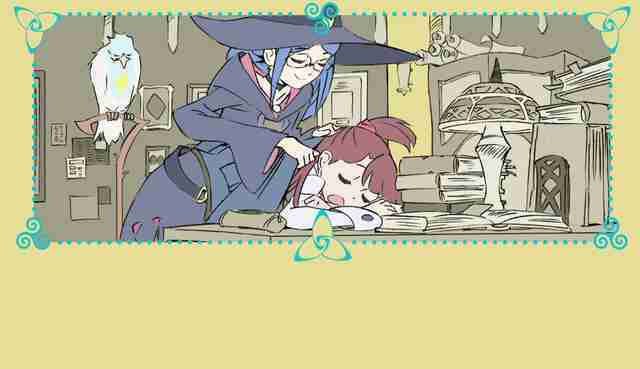 But she won’t allow that, nor her immense clumsiness, to get in the way of her dream: become as great of a witch as Shiny Chariot, the person who pushed her to chase magic in the first place. This is a setup that works as both a Saturday-morning style fun cartoon, as well as an allegory for dying traditions, specifically mirroring the situation of hand-drawn techniques in the animated medium at large. Being so dedicated to its own art, Little Witch Academia needed fantastic animation of its own, and it’s got that in spades; the series is filled with delightfully loose character art and fluid effects to give form to magic, by the hand of director Yoh Yoshinari himself and trustworthy allies like Takafumi Hori. It’s recommended to start with its two relatively short films first, as they capture the grandeur of magic much better than the TV reboot, although the latter’s longer format allows it to expand its metaphor and is plenty entertaining on its own right. You can’t go wrong with this. Ginko’s ability is a questionable gift: being able not just to see the supernatural beings known as Mushi, but also to attract them. He wanders around the world while observing them, and protecting people if needed, one self-contained episode at a time. Director Hiroshi Nagahama has a grasp on ambience like very few creators, not just in anime but modern media altogether, which makes this the perfect series to sit back and leisurely enjoy. 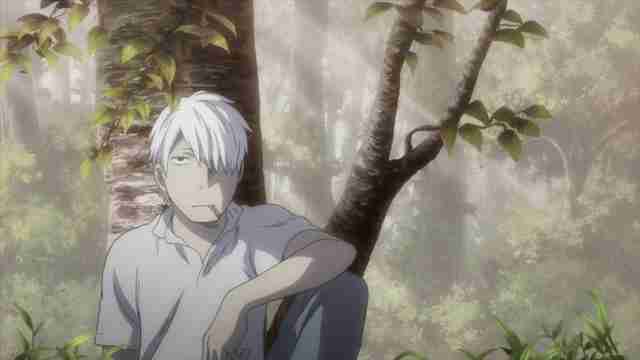 Make no mistake, however: while it’s true that Mushishi allows you to soak in its palpable atmosphere and is often incredibly relaxing, the Mushi can be quite deadly too, not out of malice but in a natural way that if anything just makes them more terrifying. With no real overarching plot to speak of, this is a series you’ll be delighted to lose yourself into for as long as you have time available. Young prodigy pianist Kosei Arima can no longer play as he used to, unable to hear his own music anymore due to a traumatic experience he doesn’t want to talk about much. 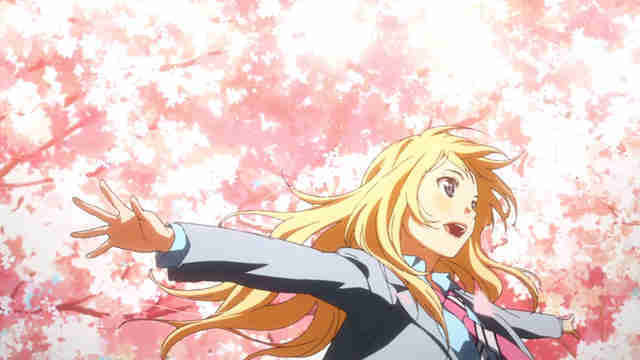 His monochrome life after that incident is revitalized once he meets the bright Kaori Miyazono, another musician, who bursts into his life like a cherry petal storm. Add to that tragic health issues, a love triangle involving Kosei’s best friend, and the fact that these teenagers have a tendency of speaking as if they were poets, and you get one unashamedly corny anime. Director Kyohei Ishiguro realized that and made it into the show’s main asset: the lavish, ornate execution makes its flowery style work, creating a show that isn’t just gorgeous but feels like the perfect visual embodiment of this tale. Despite being disguised as a series about music, that acts more as a framework for its pursue of beauty than as a theme itself, although the performances really are a key point that accompanies many cathartic developments. The final episode in particular is a truly memorable experience that makes up for the energy the show’s middle section lacks, earning it a standing ovation in the end. 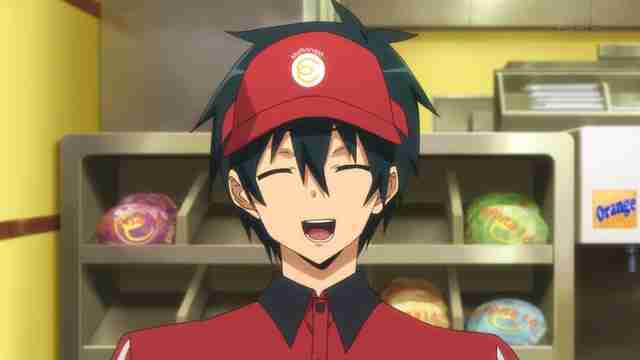 After a failed conquest of the world, and one spectacular fight, the Demon Lord escapes to the modern human world, where, without his magic, he has no option but to take the name "Sadao Maou" and start working at a fast food place. This sounds like a recipe for disaster, but he ends up adapting better than you’d expect, leading an eccentric life alongside his trustworthy right-hand man, the holy hero who chased him away to begin with, and some new human companions. The Devil is a Part-Timer! is a lovely comedy and charming romance of sorts, spiced up with some genuinely thrilling fights that prove why director Naoto Hosoda was known as an action ace before standing out with this amusing series. Its ending, unfortunately, prevents it from feeling like a thoroughly satisfying standalone experience, so you’ll be wishing for more when you finish a show that otherwise succeeds at everything it attempts. 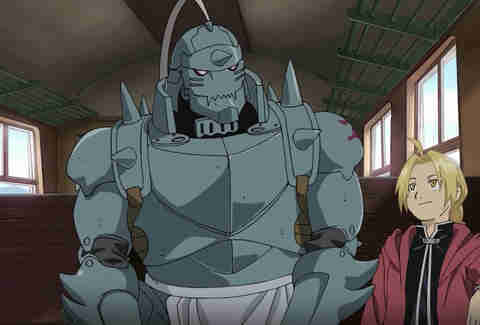 Brothers Edward and Alphonse Elric try to use alchemy to bring their mother back to life and fail, stripping Alphonse of his physical form, and robbing Edward of an arm and a leg, which he replaces with metallic prosthetics. From disaster, Fullmetal Alchemist is born. Their quest to get Alphonse’s real body back is an action-packed ride that spans the entire continent, draws in the entire army they’ve enlisted in, and exposes the shadows that hide within. Long anime tend to have rather uneven productions as resources and staff get spread thin, but this show’s consistently outstanding action setpieces defy the norm, as the iconic effects animation by Yoshimichi Kameda ensure to burn themselves into your retinas. 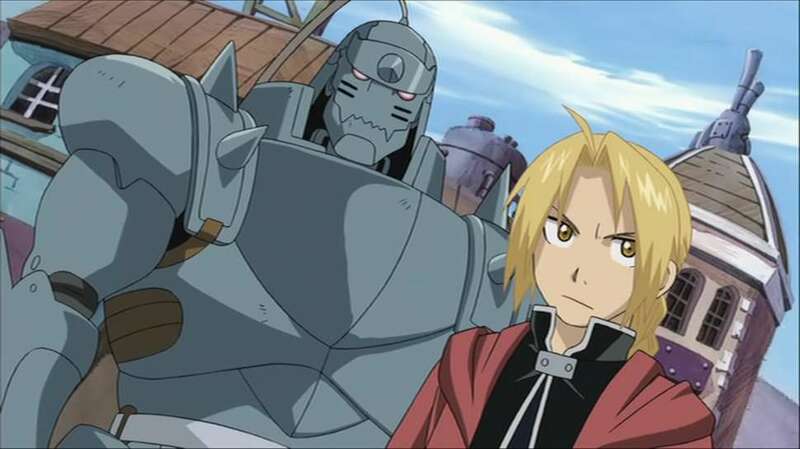 The series had previously been adapted into anime with the more conceptually ambitious yet flawed Fullmetal Alchemist (2003), also available on Netflix, but Brotherhood’s complete tale offers a much more rewarding experience. If that isn’t enough by itself, however, you can also watch its complementary The Sacred Star of Milos, a spinoff movie with a more generic self-contained narrative, but that justifies its prize of admission with its visual experimentation alone. If you want to get into Fullmetal Alchemist, which I can only recommend, you’ve got plenty of exciting material to go through! If you’ve just watched Fullmetal Alchemist and crave something by the same author, Silver Spoon will offer an entirely different yet just as fulfilling experience. Renowned mangaka Hiromu Arakawa is widely known for the adventures of the alchemist brothers, but she also happens to be quite fond of rural and agricultural happenings, to the point of using a cow as her avatar and having penned autobiographical comics about her farming youth. 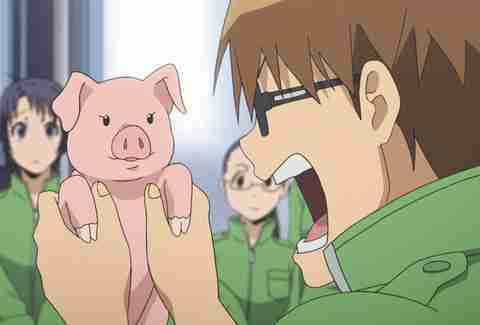 Silver Spoon shares many themes with that, as it follows Yugo Hachiken’s life after he enrolls an agriculture boarding school. His initial reluctance to acclimate to a very different lifestyle turns into an earnest exploration of everyone’s paths towards the future which is regularly funny, poignant, and rather adorable when it comes to its romantic moments. Its two seasons are nothing but grounded excellence. 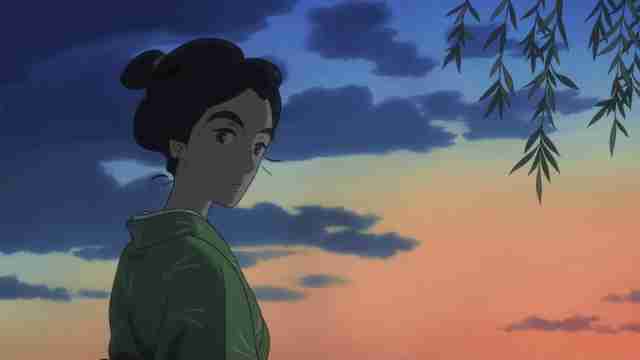 If you don’t have the time to invest in an entire anime series but still want to jump into Netflix and enjoy some high quality anime, Miss Hokusai is one of the most interesting offerings at your disposal. Katsushika Hokusai is a renowned artist best known for the iconic imagery of The Great Wave Off Kanagawa, but this film explores a more overlooked aspect: the life of his daughter Oei, as an artist herself forced to live in the shadow of a legend. The aim of the movie isn’t so much historical accuracy as portraying a set of struggles with universal relatability, and it does so in a fairly unique way. Rather than following a standard structure, Miss Hokusai is a collection of daily life vignettes that illustrate the interactions between the two main characters and those who surround them. This is brought to life by similarly down to earth animation, never relying on flashy movement but always articulating their demeanor perfectly. It all comes together as a package that’s far from your standard anime, but if any of this sounded appealing, you should by all means give it a try. 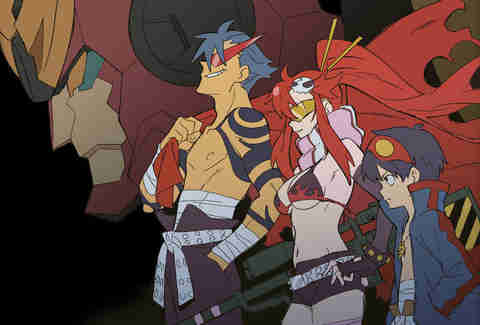 Having just passed its 10th-anniversary celebration, Gurren Lagann is a modern classic you have the chance to revisit on Netflix. Set in a world where humanity is forced to live in underground colonies, not even fully aware that the surface is the domain of the terrifying Spiral King and his robot-piloting crew of monsters, the series never-ending sense of escalation and the dynamism, courtesy of director Hiroyuki Imaishi, allow it to reach the very ends of the universe, making the show stay true to its own message about humanity’s endless possibilities. While it proudly showcases its many mecha anime influences, it has enough identity of its own to have become a new icon in the genre ever since then. Of course, it helps that the show is a vividly colorful animation feat, one where ludicrous fights give idiosyncratic artists the chance to imprint through rough line art and wild posing, an excellent argument that fluidity by itself isn’t all that makes animation exciting. If that isn't enough, know that much of the same production team returned for KILL la KILL, also available on Netflix; beware that it’s a messier endeavor – arguably more ambitious, but also much less satisfying than the straightforward yet perfectly constructed anti-oppression tale of Gurren Lagann. Kaname Madoka and her good friend Sayaka Miki come across a mysterious small creature who offers them a contract to become magical girls and fight against Witches. Mysterious transfer student Akemi Homura strongly opposes, as if to protect not just Madoka but many many viewers around the world who weren’t yet acquainted with the subgenre of magical girls that gives a dark spin to its usually sweet premise. Don’t expect relentlessly gritty doom however, since even on a visual level the show is elevated by striking colorful work, like the magical pieces crafted by indie duo Gekidan Inu Curry. There’s no replicating the initial experience back when the series was getting promoted as a cute magical girls series, but its value extends much further than an early subversion of expectations. 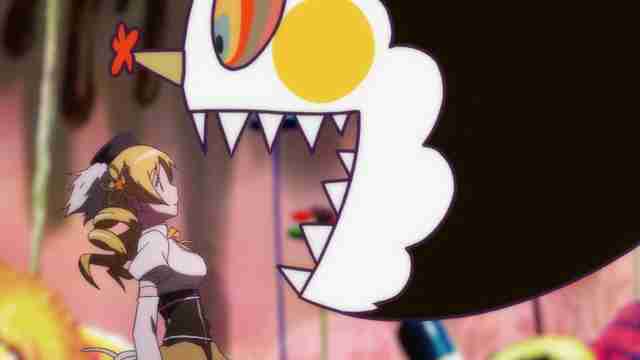 Madoka Magica is a powerful story about humanity. Mikado Ryugamine moving to a high school in the rowdy district of Ikebukuro is only the starting point of a much larger and hectic tale. While he acts as the protagonist of sorts alongside his childhood friend Masaomi Kida and the quiet Anri Sonohara, the truth is anything but that; writer Ryogo Narita is known for his love of incredibly multithreaded narratives, with plenty of characters leading their own adventures that end up intertwining in some way or the other, giving absolutely everyone a role in this story about gangs, the night life of the city, and supernatural beings hiding in plain sight. It’s precisely the rich cast that drew many viewers to this series, especially with fan-favorites like dullahan biker Celty Sturluson, the impossibly powerful Shizuo Heiwajima, and everyone’s favorite puppet master Izaya Orihara. 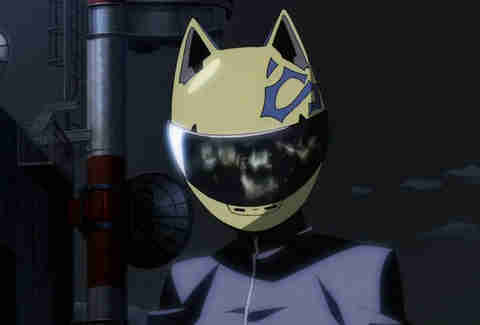 Its sequel Durarara! !x2, split in three shorter seasons this time, is also available on Netflix, and while it doesn’t reach the same heights, it’s still a fun ride.